As much as we seek out the new, there are moments when retracing becomes essential. In the past week or two, I've experienced work by three artists of different genres who have retraced in wide-ranging ways. 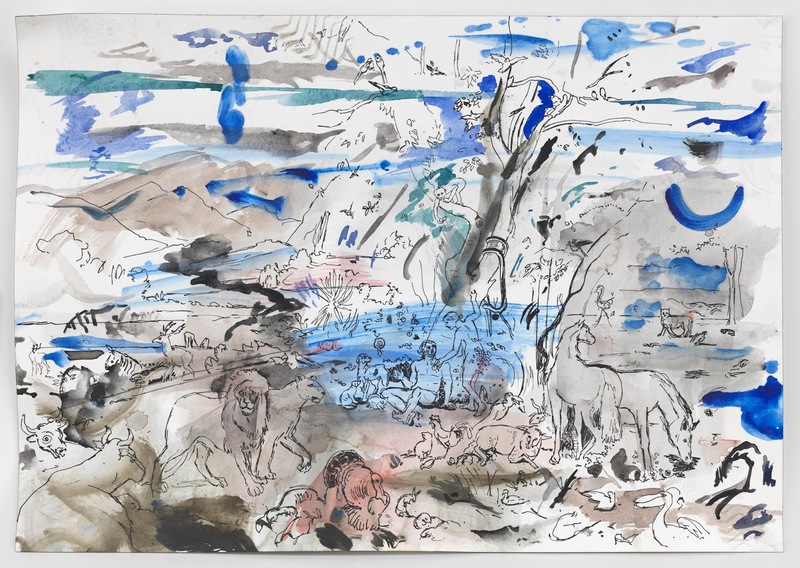 In what is, unbelievably, her New York museum debut, 80 of artist Cecily Brown's watercolors and sketches comprise an exhibition titled Rehearsal (from the French word "rehercier"—to achieve understanding or mastery by retracing) at The Drawing Center through Dec 18. This highly focused show, curated by Claire Gilman, is a collection of reworkings by Brown of source material, including Goya, Brueghel, animal bestiaries, and even a Jimi Hendrix album cover. In the process of her retracings, she can isolate subjects or clusters, creating intriguing incomplete compositions; add sheets of paper when she runs off the page; and even work without glasses, or with low resolution imagery, to blur perception and and allow an absorption of general massing and color balance. Seeing her "rehearsals" of the album art for Hendrix's Electric Ladyland (in one example, she overlays it with another artwork), provides some insight into her painting compositions, which seethe with unspecific, irrepressible life. Childs' dancers can perform a passage, and then etch and re-etch the same, or similar, one again and again. Each phrase is beautifully crafted to move the dancer in a direction, or back, swiftly and with an effervescent flow. A quickly extended arabesque can be counterweighted by arms tossed overhead, effectively braking the impetus. The repetition can be hypnotic; a sudden change of direction or added move lends unexpected drama (not unlike such a musical shift in a composition by Philip Glass, a frequent collaborator). 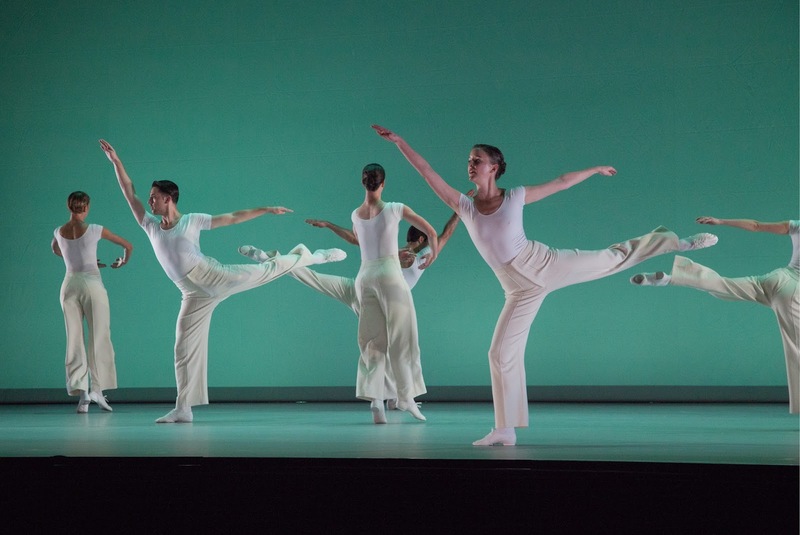 A Portrait, at the Joyce, was composed of eight repertory dances spanning the decades since 1963, when she created conceptual works such as Pastime—consecutive brief vignettes, including one in which a seated dancer, enfolded within a stretchy length of ecru fabric, assumes a sculptural position, straightens her body langorously, and shifts angles. Radial Courses (1976) features four men walking rapidly in circles; two break apart to leap and turn, and rejoin the circuits, or turn to head the opposite way. In a work from this year, Into View, an intense light pierces through the upstage scrim, like the sun cutting through fog. The dancers pair up for a change of pace, the women doing fanning leg lifts or ducking under their partners' arms. Childs is a master of retracing, using it as a framework for her intricate, mesmerizing movement structures. Another type of retracing is telling a life's story. 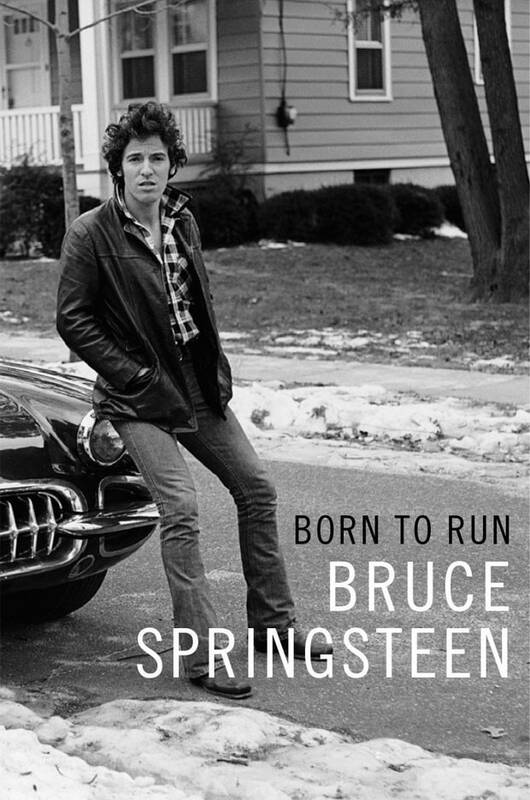 Springsteen's autobiography, Born to Run (Simon and Schuster), recounts his path to becoming one of our generation's biggest rock stars while maintaining a strong connection to his working class New Jersey brethren. I confess that I've never bought an album by him—a consequence of his music being ubiquitous in life, whether on the radio or blaring from someone's stereo loudspeakers. 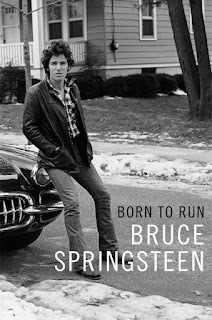 Nonetheless, I do seem to have unconsciously absorbed the words to many of his songs, and some of their rough-hewn poetics reverberates in his book's prose. He knows how to write, and the ease of the syntax makes the book a pleasure to read (plus, he drops in title or lyric quotes, a kind of game within the story). A bonus of retracing a musician's life in the age of Spotify is being able to play, and doubly appreciate, the songs being read about.